Love Birds: Elis - Imagine. Elis has completed lots of investigative challenges using her imagination. Where have all the worms gone? Pandas: Pippa - Try new things. Pippa was amazing at the circus skills workshop this week. Not only did she listen carefully to the instructions, she was determined to try as many activities as possible in order to challenge herself to complete the hardest of skills. Well done! Seahorses: Madison - Try new things. 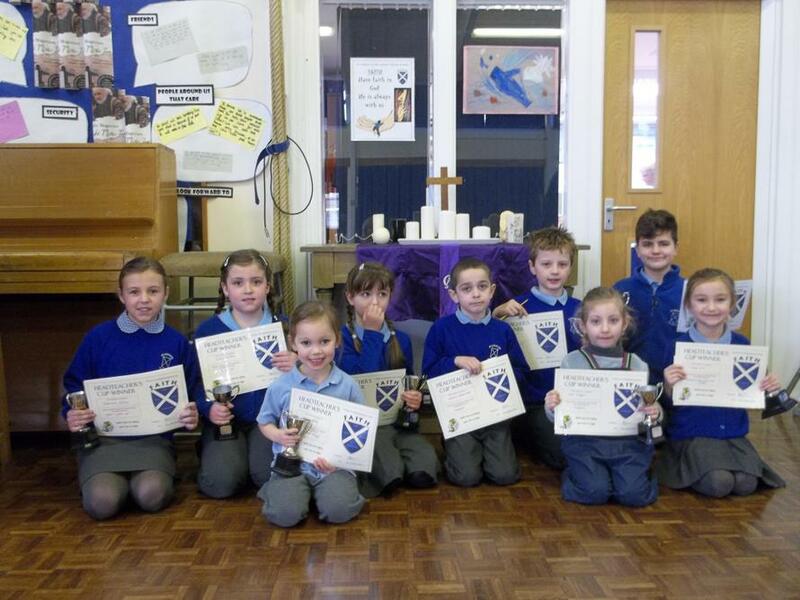 Madison joined St. Andrew's and Seahorse class this week. We are so impressed with Madison's bravery, beautiful manners and willingness to join in and learn new things. What an amazing start Madison. Well done! Charlie is constantly striving to improve everything he does. He has a great growth mindset and has been noticed for this by everyone around him. Wow Charlie! Ocelots: Clara - Respect yourself and others. Clara went out of her way to support and encourage another child during P.E. as well as a maths lesson. Well Done! Polar Bears: Issie - Don't give up. Issie is making great strides forward with her maths and has really impressed us with her determination and perseverance this week. Well Done, Issie! Golden Eagles: Tallulah - Don't give up. Tallulah has shown super determination with her reading. She has started to read more at home and has gained a reading star every week for the last 6 weeks! She always works with such a sensible, focused attitude too. Well done Tallulah! Falcons: Louis D - Work hard and concentrate. Louis has worked really hard all week and is making brilliant progress in all areas. Keep it up Louis! Sports Cup: Luca - Respect yourself and others. Luca showed great leadership and sportsmanship during the tag rugby tournament. Well done Luca!